Life is short. Before we know it, those we cherish are either grown up or no longer with us. Life. Documented captures the lives, stories, and histories of those we love. In 1997, I set out to document my family’s history through video interviews, beginning with my grandparents. I reasoned that one day I might have children and, if I did, I wanted them to know their great-grandparents and their life-stories, unfiltered and in their own voices. 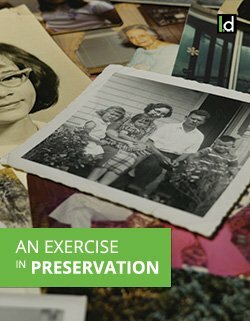 This simple exercise in preservation stuck with me over the years. When I became a father, I thought it only logical to extend the interview process to my children. After seeing the joy that such [children’s] interviews brought my family, I thought it right to share the experience with others, hence the creation of Life. Documented in 2013. Services were expanded in 2016 to include high school senior interviews, memorial videos, video biographies, and biographical documentaries. Thank you for visiting Life. Documented. Let us know how we can serve you!